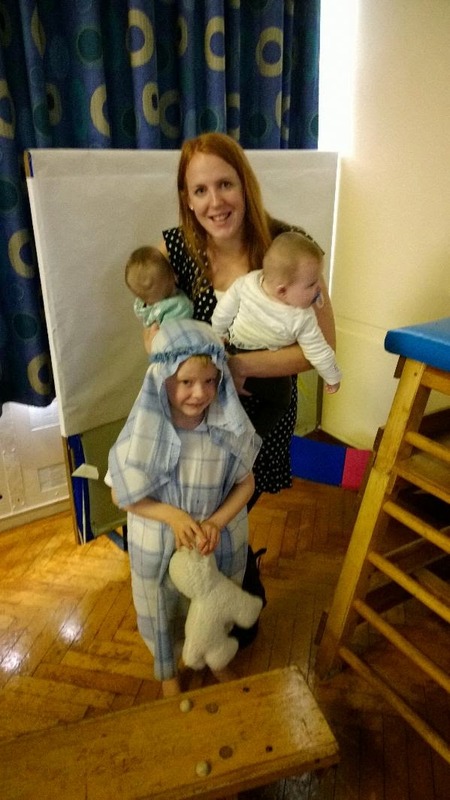 It's been a couple of weeks but I'm pleased to be bringing you a new Meet A Mum post today - meet Beth from Twinderelmo... she's a Mum to three lovely little ones, including identical twins! 1. Hello, what's your name and where do you come from? I'm Beth, I'm 28 and married. I come from Shropshire near the midlands and am now a SAHM after taking voluntary redundancy after my maternity leave ended. 2. Tell us about your children. I have a 5& a half year old son who has just finished reception class. I also have 13 month old identical twin girls who were conceived on our honeymoon! 3. 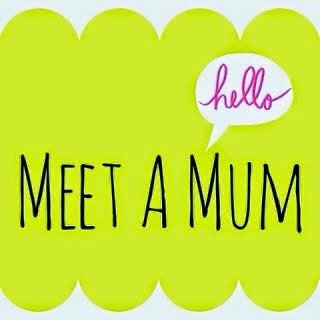 When did you know you wanted to be a mum? I was your stereotypical girl - obsessed with dolls and babies. From as young as I can remember I fawned over babies and had Charlie when I was 23 and fell totally and utterly in love as life as a Mom. 4. What's your favourite moment as a mum so far? I really enjoyed our first holiday together - we went when the girls were just 2 months old and it felt such an achievement as the prospect of twins plus a then 4 year old was frightening but it was a moment where it felt like - yes we really can do this! 5. What do you wish people had told you before you became a mum? Do not get embroiled into competing - too many want to make every milestone into a competition. Enjoy each step as cliche as it sounds it goes so quickly. Just relax, embrace and trust your instinct. 6. If we were to look in your changing bag, what would we find? Stashes of nappies, wipes, nappy bags, toys, stray raisins and my phone. 7. What were the top three things you had for your baby that you would recommend to other mums? 1. For twin s- my car seat bases were an absolute god send. How I would have done the school run with seatbelt car seats I'll never know. 2. Also Aldi nappies - such bargains and excellent quality. 8. What three things could you have done without? 1. A baby bath. We used it about twice and is now used as a washing basket! 2. Anti colic bottles. Complete waste of time and money - the milk just leaked everywhere. 3. A top and tail bowl. Why do these even exist?! A normal bowl is perfectly adequate. And far cheaper. 9. What baby brands do you like and why? I love the Weleda range - it leaves my girls skin smelling amazing and feeling so soft. I also love Aldi own brand nappies and wipes and I'm a sucker for a Pink Lining bag. 10. Are you a working mum? If so, how do you find it? I was after having my son. But now SAH with the girls. There is guilt for both - guilt when working as you are kissing so much yet the same at home as I worry I may smother them and make them clingy. Moms put so much pressure on ourselves and I don't think there will ever be a healthy balance where you feel happy about your choices. 11. What do you enjoy most about being mum? Getting to know their individual personalities. Even with identical twins, genetically they are the same however I could never imagine two more different children. As Charlie is now at school seeing him develop into his own person amazes me everyday and makes me feel so proud. 12. How do you make time for being 'you'? 13. Tell us about your blog / where we can find you online. I blog at www.twinderelmo.co.uk. I opened my blog last October but only really started to write the past couple of months. I'm enjoying having a hobby and it's keeping me occupied after losing someone incredibly important to me. 14. What's the best thing about being a blogger? How supportive other bloggers are. I'm amazed how welcoming people are. I also love having a release to write your feelings and knowing it's there as a keepsake. 15. Share a crazy fact about yourself. When I was at school I was a national girls football champion and played all across the UK. Thanks Beth! I don't know how you do it with three children to look after, just amazing! And please tell us your secret of 7pm bedtimes in your house! !